Hypertension occurs when the pressure in the arteries and blood vessels becomes too high and the arterial wall is distorted because of the extra stress on the heart. High blood pressure increases the long-term risk of stroke, heart attack and diabetes. The causes of hypertension include emotional stress, high salt diet, alcohol, obesity, caffeine, inactivity, smoking, use of birth control pills and heavy metal poisoning. How Can Essential Oils Help The Body With Conditions Like Hypertension? Apart from making their way into your body through the follicles, essential oils can also gain entry into the body by inhalation. Small molecules of oils are absorbed into the blood as the lungs oxygenate the blood. This makes these oils excellent for use in the form of candles and sprays. 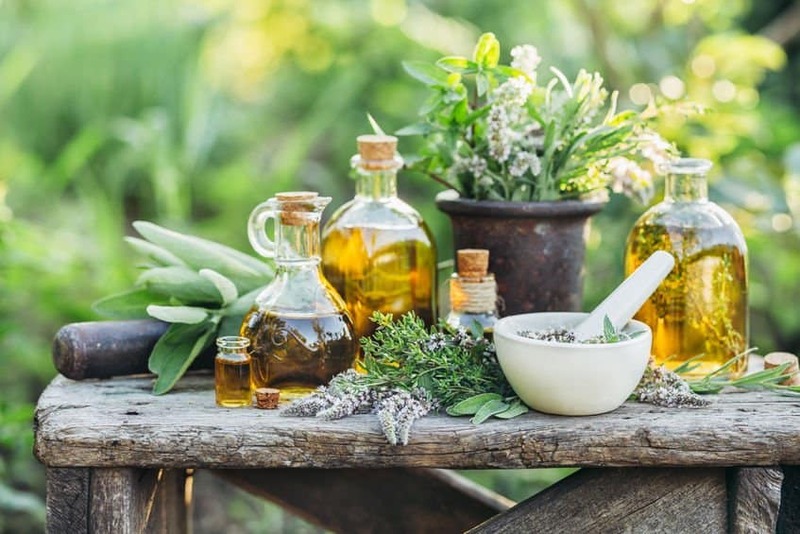 Essential oils work on the high blood pressure gradually dilating the arteries, reducing emotional stress and act as antioxidants to reduce oxidative stress. While keeping the body and mind in harmony, essential oils calm the nerves and keep emotions under control. Although essential oils are proven to have many benefits for the body, not all essential oils can be used to help regulate blood pressure. Keeping that in mind, here are some of the best essential oils you can use to keep your blood pressure under control. Lavender is high in alcohols and esters. It is one of the sweet and smooth essential oils that work as a tonic for the nervous system and balances it. Given its title as the ‘grandmother of all essential oils’, Lavender essential oil has a calming of effect, supporting your body and emotions. It is an effective antidote for depression, emotional imbalances and disorders of the nervous system. It contributes to the release of a positive mental energy that helps to increase the behavior of relaxation and regulate blood pressure. Lavender oil has an herbaceous, floral and sweet aroma. This oil has properties similar to lavender, being balancing and soothing. It has high alcohol content and is a tonic that warms the body and balances it. It quiets the mind and is used to treat nervous exhaustion and lethargy. It also helps relieve obsessive thought, releases emotional desires and promotes self-nutrition in your body. It has a woody, spicy fragrance that is herbaceous and cool. This oil is rich in sesquiterpenes that have a hypotensive and soothing nature. It is also found in esters and alcohols, and its properties are similar to those of lavender. It efficiently cleanses and relaxes nervous tension in your body that often causes high blood pressure. Ylang Ylang is used to calm anxiety and promotes sleep. It also relieves the frustration and anger while promoting relaxation in the body. It has a very intense sweet floral aroma. Neroli: Releases repressed emotions stuck in your mind and promotes joy and hope. Frankincense: Clears the mental clutter and calms the mind. It encourages introspection, self-discipline and spiritual tranquility. Bergamot: Helps relieve the stress in your body as well as pent-up emotions. It also promotes optimism and spontaneity. Chamomile: Relieves nervous stress, relieves frustration and depression. Inhalation and massage are the two ways you can use essential oils for the treatment of hypertension. You can massage the following mixtures on your body to reduce the blood pressure. Mix two drops of each marjoram and lavender with a drop of neroli and 15ml of carrier oil such as sweet almond or apricot oil and massage your body. Mix two drops of frankincense, a drop of ylang-ylang and bergamot each into two drops or 15 ml of carrier oil. Massage this mixture onto your body every evening after your shower. These mixtures relieve stress and help you sleep well. Mix a drop ylang ylang, lavender and bergamot each. Mix one drop of each of frankincense, lavender and marjoram. Add all the recommended drops of essential oils in a bowl of boiling water. Cover your head with a soft cloth and then inhale the mixture for a minimum of three minutes before going to bed or when you return home from work. After the Simple Salve melts, add the essential oils and mix well with a stick or toothpick. Set aside to consolidate overnight. Use twice a day, take some BP Salve, and rub a bit on the sole of your left foot, just below the big toe. In addition, rub just below the ring finger of the left hand and heart. These are usually called “reflex points” to the heart. If you do not use a lot of simple Salve, you can use coconut oil, olive oil or any other carrier oil. Although I prefer Salve, I also used the same essential oils in a roller ball covered with liquid coconut oil. In this case, use 10 drops of ylang-ylang and 5 drops each of the other oils. Mix all ingredients together to create the massage oil. You can apply this on the area of the heart and the vital points regularly. Again, this is a massage oil to be used regularly, as often as necessary. Unlike the others, this is for a bath; you can make a mixture of the three essential oils and add to the bath water. This mixture soothes and calms the nerves to relieve stress and blood pressure. Put 6 drops of the essential oil of lemon in a bottle or a glass of water every time you fill it to drink. Lemon oil is also an excellent option if you are prone to respiratory problems. Lemon oil synchronizes well with another essential oil named Ylang Ylang. The combination is a more powerful one. Ylang Ylang promotes calm, lowers heart rate and reduces both cortisol and blood pressure. As always, please consult your doctor before ingesting any essential oils. You can also inhale this in times of stress to calm the nervous system. Put these oils together in a hot bath and relax, breathe in the perfume of the oils and let it enter the body. Massage the mixture around the chest and heart. Do this every night before going to bed. Relax, do some deep breathing and meditation. Reduce levels of stress as much as possible. Use essential oils mentioned above for a massage. Use a drop of each in 2 teaspoons of sweet almond oil. Put in a diffuser or enjoy your bath with these oils. When the oil is applied to the body, it enters the bloodstream through the sweat glands, restoring distorted blood vessels. 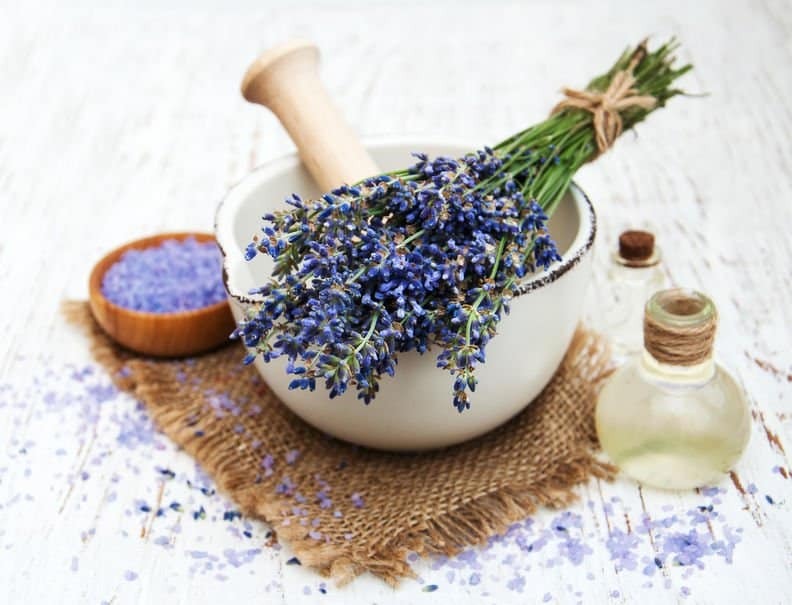 A highly effective massage mixture for blood pressure can be prepared by mixing 2 drops Lavender, 2 drops Marjoram and one drop of Neroli oil with a medium of choice. Use 15 ml of carrier oil. Alternatively, another mixture can be prepared by mixing 2 drops of Frankincense, 2 drops of Bergamot and a drop of Ylang-Ylang with 15 ml of carrier oil. Gently massage the mixture into the body after the shower to help reduce blood pressure. These oils also help relieve stress and facilitate a deep sleep. Are Essential Oils Safe For Use During Pregnancy? It may be safe to use certain essential oils during pregnancy with some considerations. First, you must be in good general health. Second, you have to be careful with them. It is important to note that the essential oils are substances that are extracted from various plants. Because of its strength, it is necessary to use as little as possible. You have to buy your oils from a reputable source and ensure they are of very high quality. Finally, it is necessary that pregnant women are not allergic to the oil in use (this can be found on the label, but if you’re not sure, then ask someone who understands essential oils). 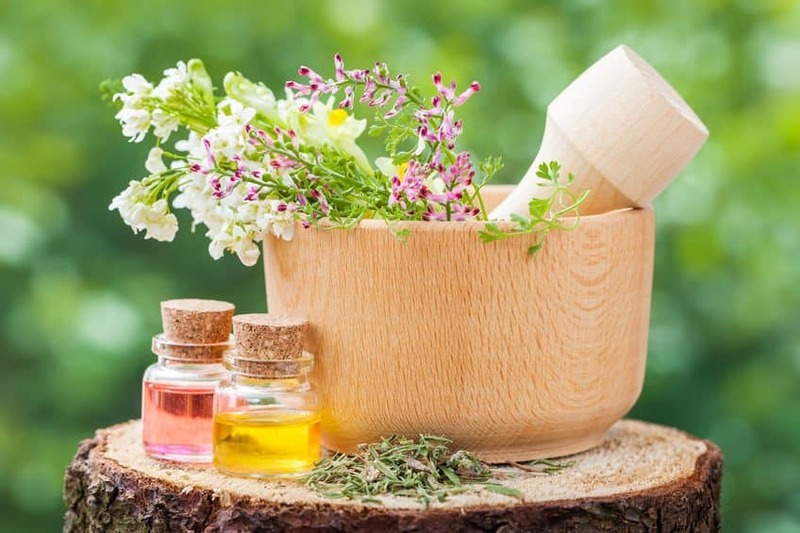 Tea tree oil is a natural antibacterial disinfectant that has commonly been used as a general antiseptic by indigenous tribes since thousands of years. More recently, the scientific community has confirmed that Tea Tree Oil has tremendous health benefits. It is light yellow oil, which smells like nutmeg, and is made by steaming leaves of the tea tree and then compressing them to extract the oil. Research suggests that regular massages with tea tree oil can cut blood pressure. A study was conducted on a group of married couples. Half of them were given portable blood pressure monitors and told to massage their partners three times a week with tea tree oil. The other half of them were supposed to go on with their usual lives. At the end of the month, men and women in the massage group were found to be having higher levels of oxytocin, which is the hormone that cuts stress. Moreover, the couples in the massage group had lower blood pressure than the non-massage group that saw no change. Do not swallow Tea Tree oil. Avoid the use of essential oil of tea tree during pregnancy and lactation. If you are careless regarding the quantities of essential oils that you use, you might end up with negative effects. In order to maximize the benefits, use the essential oils the way they should be used. In addition, always consult a certified Aromatherapist or your doctor before going on an essential oil regimen. This way you do not end up taking unnecessary risks – after all, because it is your health, you cannot afford to be even the least bit careless. Click here to read more information on the connection between high blood pressure and memory loss including the triggers for hypertension, as well as signs of memory problems including what to look out for in early dementia. Do you have any information on how oils can help with high blood pressure? Thank you so much for all of this great information! I know it took sometime to compile all of this. I have used Ylang Ylang on my feet twice a day in the past with success. I have been doing great.By the grace of God, I’ve lost 92 pounds through eating what I call God made foods and exercise. I have been doing wonderful until just recently. My blood pressure is spiking up so I needed to find as much information as I could to get under control naturally. May God bless the efforts of your hands always. Thank you again. You are very welcome and I wish you all the best and continued success with your exercise and food regimen. Thank you so much for this! My mother have anxiety and high blood pressure and I have been looking for information on how she can reduce it naturally. I think I have found my answer! She takes pills for it but I really don’t want her using them. I don’t trust prescription pills one bit. Thanks again for another great post. Thanks for caring and sharing some great tips for BP. I’ve learned so much reading your emails. Thank you! Due to the combination of health issues, it is highly recommended that the doctor’s advice is followed. You may read some info about essential oils for high blood pressure here. And please do not use essential oils without first consulting your doctor. Thanks for sharing the info. It is greatly appreciated. As a new reader to Best Essential Oils, I am very pleased with the information you have sent me today. I like using essential oils in my bath also put them on my skin, I go to a lady who gives me Indian body massage she is excellent at it and I feel so less stressed and more uplifted each time I go. I have a lot of health problems including Ulcerative Colitis and Osteoporosis I am also deaf and suffer with Tinnitus, and have panic attacks at times since my mum died. Do you have any information you could email to me re oils for helping with the pain in my knees due to my osteoporosis PLEASE. It is my pleasure and thank you so much for your sharing your story with essential oils. I am really sorry to hear of your health issues and the passing of your mother. Please refer to this article and in particular Recipe 5 for essential oils for knees. If you want to start with a single oil, you can rub 2-3 drops of the essential oil of ginger 3 times a day on the affected area. If it is too strong, please dilute in 1 tsp of a carrier oil such as jojoba or almond oil and also do a test patch before application. I recently read that extended intake of lemon oil in water is a bad idea because the oil will not be able to enter your system diluted. It is my pleasure. Take care. I’m wondering if essential oils have a shelf life. A general rule of thumb is to keep essential oils for a period of 1 to 2 years. During that time, they can retain their therapeutic properties, provided that the oil you purchased is a high quality one bought from a reputable seller. A handy tip is to store the essential oil them in a dark glass bottle, keep the cap tightly closed, and keep it in a cool, dry location away from sunlight. Citrus essential oils are an exception to the above and their shelf life can be anywhere between 6-12 months. Having said that, some citrus oils have remained fresh for over 12 months.